It is well signposted in the area as the church contains the famous and ancient Ruthwell Cross http://www.rampantscotland.com/visit/blvisitruthwell.htm and as such it seems to be one of the only churches in the area that is kept open. Well worth a visit if you are passing. But beware it is about a mile or so from the village of Ruthwell itself. 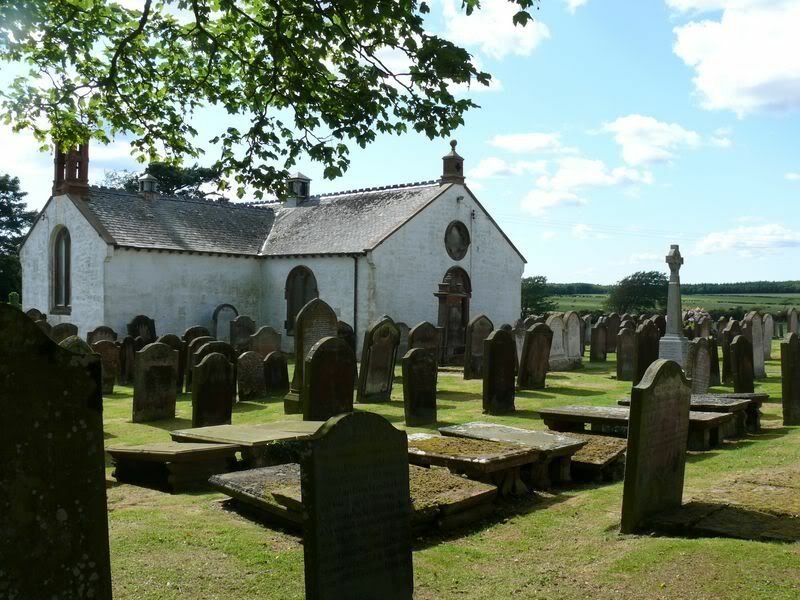 There are a lot of very old stones in this churchyard and the inscriptions can be difficult so it is quite possible that I have failed to spot an older inscription or two. Grave/Memorial Reference: In West part of new ground. 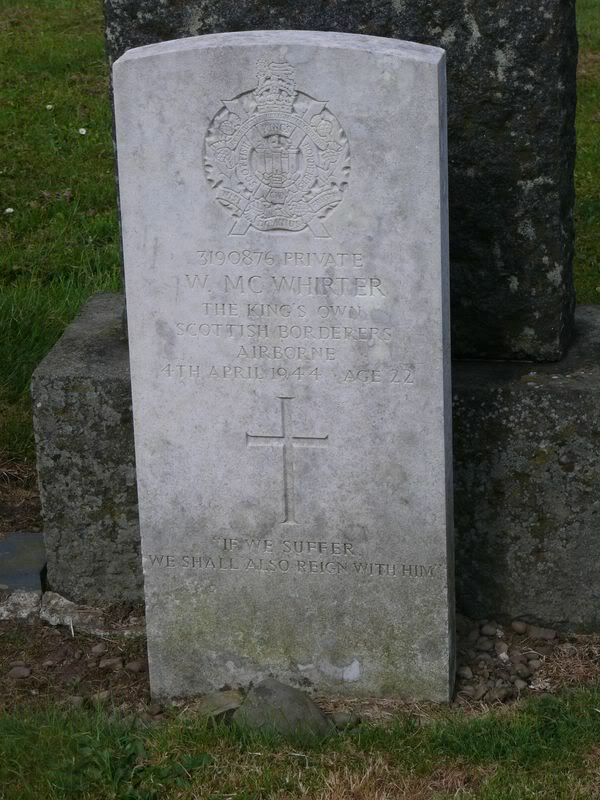 Additional information: Son of Charles and Jemima McWhirter, of Ruthwell. Grave/Memorial Reference: North Extn. Lair 93. Unit Text: "A" Bty. 261st Bde. 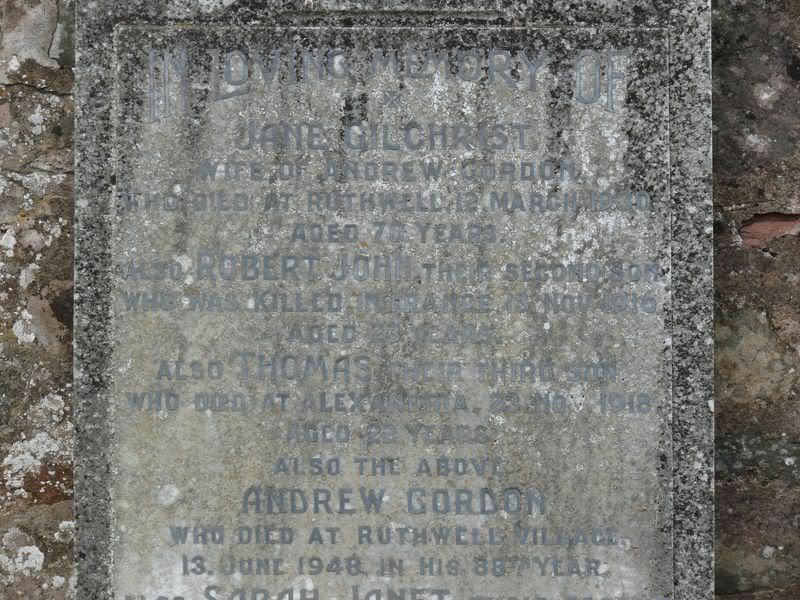 Additional information: Son of Andrew and Jane Gordon, of Ruthwell Village, Ruthwell, Dumfriesshire. Unit Text:	"C" Coy. 12th Bn. 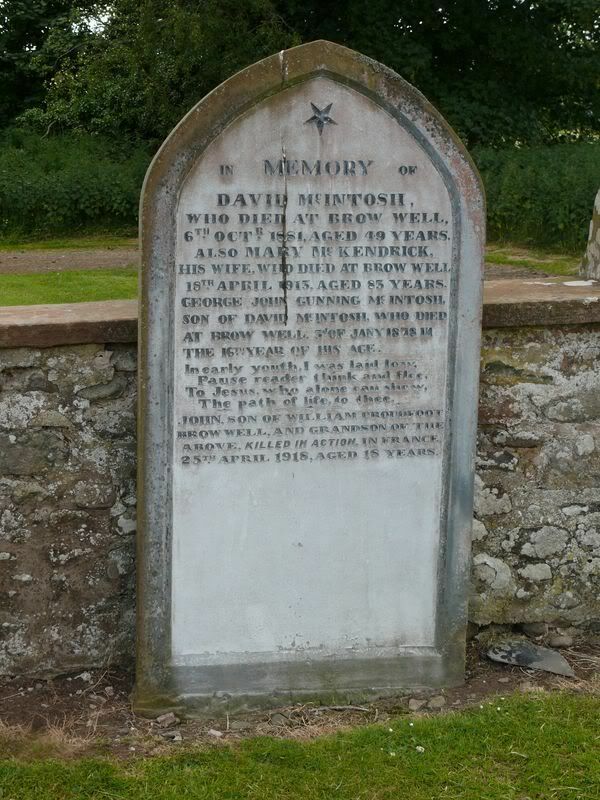 Additional information:	Son of William and Robina Proudfoot, of Brow Well, Ruthwell, Dumfries. 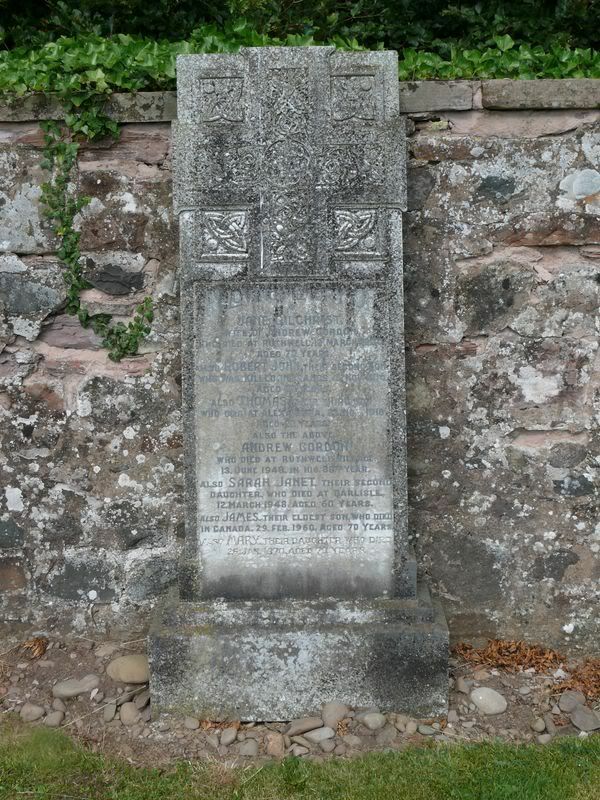 Additional information: Son of Jarvis Wright, of Rose Cottage, Clarencefield, Ruthwell, Carlisle; husband of Mary Ann Craig (formerly Wright), of 29, King St., Maxwelltown, Dumfriesshire. Grave/Memorial Reference: XXXV. G. 17. 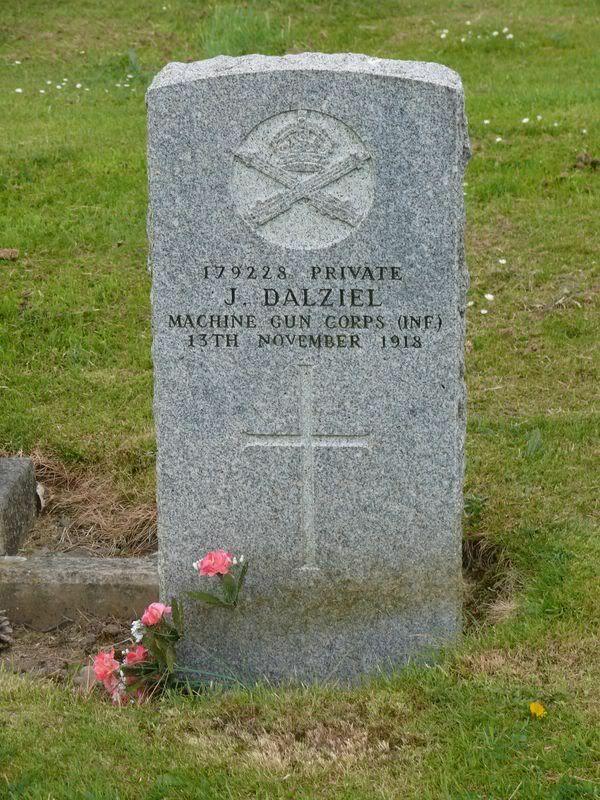 JAMES DALZIEL – age 26 – Private (179228) MGC Training Battalion. Machine Gun Corps. James of Shearington, Carlaverock was an engine man when he was released from prison in Dumfries to enlist in the MGC on 21/10/1918 at Galashiels. He claimed service in the 2/5th KOSB, (discharged in December 1914) and 2 years 4 days service in the navy, (discharged in July 1917). He was posted to the MGC for training at Brocton Camp, Cannock Chase, Staffordshire on 22/10/1918. 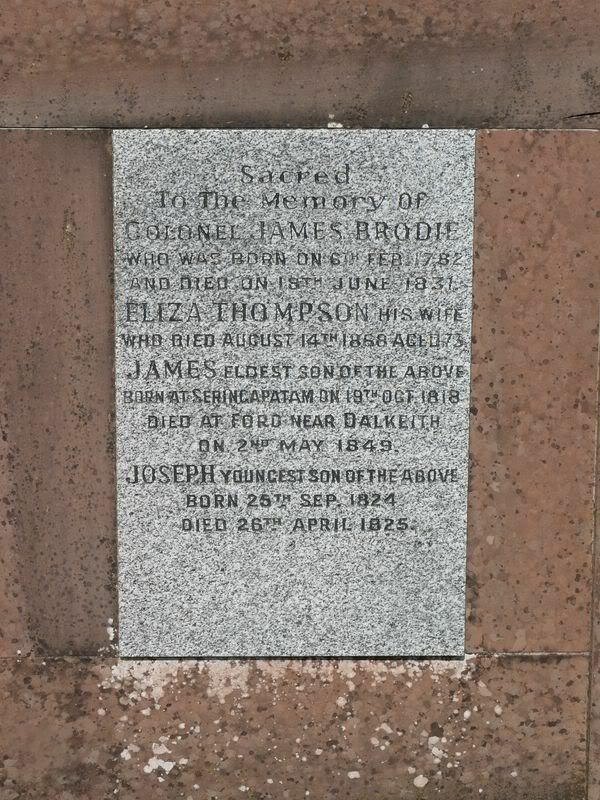 James died of influenza and pneumonia at the Military Hospital serving Brocton and Rugeley Camps at Cannock Chase and his death was registered at Lichfield Staffordshire. 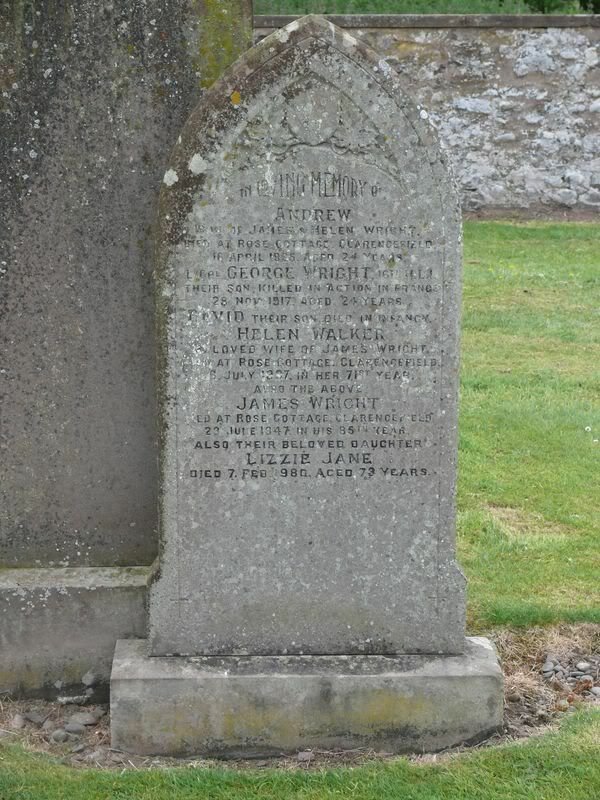 Son of Francis and Agnes (McBurnie) Dalziel who married in 1892 in Kirkmahoe. Husband of Euphemia (McGeoch) Dalziel of Loaninghead, Bankhead, Caerlaverock who he married 21/9/1917 in Shearington Village, Caerlaverock. He was a ploughman aged 24. 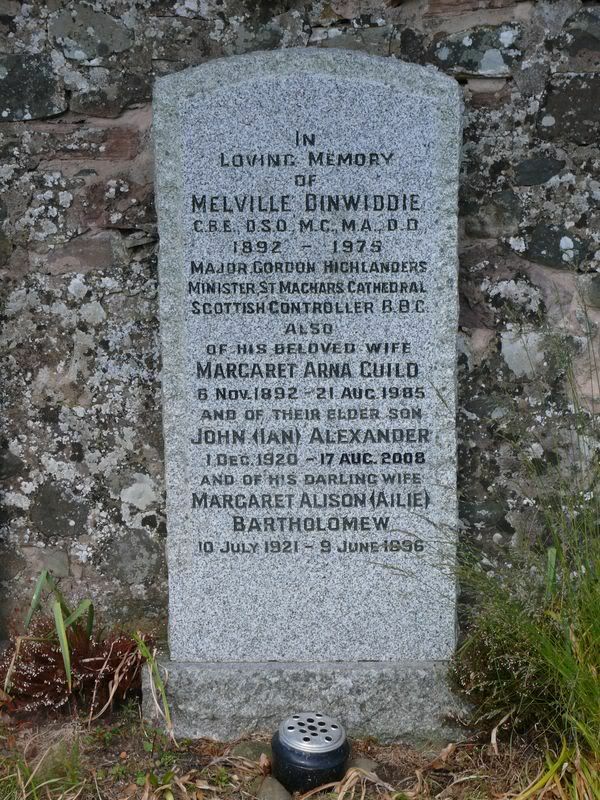 Died on Service on 13 November 1918 and buried in Ruthwell Parish Churchyard. There is a seamen's service record for James Dalziel, Stoker (SS111226) born 19/11/1892 at Kirkmahoe. He was a farm servant when he enlisted for 5+7 years on 11/8/1911.